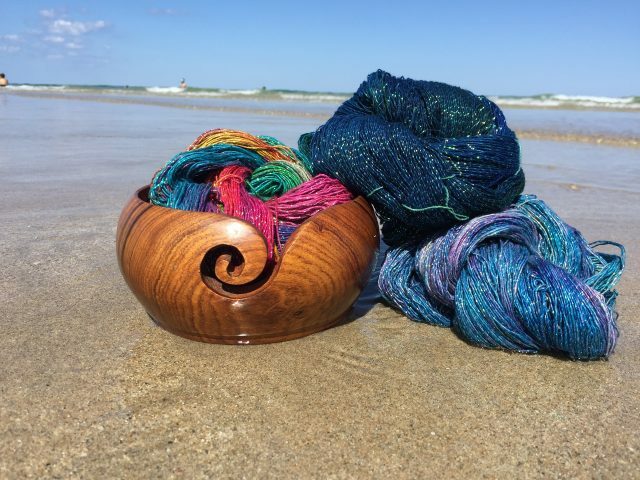 As you know, last month I discovered Darn Good Yarn, a wonderfully human yarn and fibers importer, wholesaler and retailer. I told them I’d love to review some of their products and they kindly agreed to send me one skein of their Silk Cloud yarn, a fairly traded lace weight yarn made in India from silk waste. YAY! I received it a few days ago and I have to say, even though I haven’t gotten around to knit it yet, so far it’s everything I hoped it would be. The Silk Cloud yarn comes it a great variety of bright and shiny hues, some of them sparkly. I got it in grey. Now when I say grey, you might think it’s a bit boring, but I assure you, it’s everything but. It’s a lovely greyish purple with a great white/silver shine to it. And it’s soft as -well, silk. (duh) Plus, although it very smooth and all, it’s not slippery like some other lace yarns. I think it will offer a nice grip and knit quite easily! But I think what I love the most about the Silk Cloud yarn so far -again, I haven’t knit it yet- is that this yarn has a story, and somehow you can feel it. Maybe it’s the (very tiny) flecks of what looks like cardboard or paper, or it’s the faint, indescribable odor. I’ve bought my fair share of yarn, and it always smelled of… I don’t know. Plastic? Shelves? You know what I’m talking about. But this one… It has a kind of organic smell to it, that keeps you coming back for more. 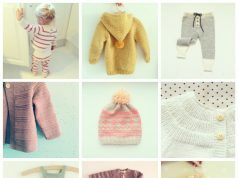 I can’t wait to knit something with it! 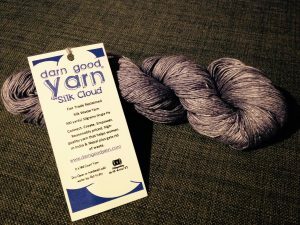 A big thanks to my friends at Darn Good Yarn for sending me this sample, I can already tell you I’ll be buying more Silk Cloud soon!